Many original alternative economy movements – from local currencies to community banks – rest upon a vision of decentralisation in which large-scale centrally-controlled infrastructures are replaced by small-scale locally-controlled infrastructures. Cryptocurrency and blockchain technology communities, on the other hand, present decentralisation as the act of building large-scale infrastructures that are controlled by nobody. How do these two visions of decentralisation relate to each other, and is it possible to hybridise them? This keynote is made possible with a grant from the International Visitors programme by Het Nieuwe Instituut (HNI) with the support of the Dutch Ministry of Foreign Affairs. 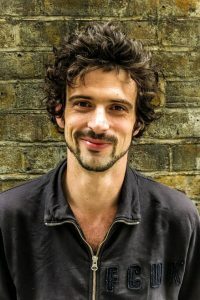 Brett Scott is a journalist, campaigner and the author of The Heretic’s Guide to Global Finance: Hacking the Future of Money (2013). He works on financial reform, alternative finance and economic activism with a wide variety of NGOs, artists, students and start-ups, and writes for publications such as The Guardian, New Scientist, Wired Magazine and CNN. Brett produced the 2016 UNRISD report on blockchain technology and is a Fellow of the Finance Innovation Lab, an Associate at the Institute of Social Banking and an advisory group member of the Brixton Pound. He helps facilitate a course on power and design at the University of the Arts London and facilitates workshops on alternative finance with The London School of Financial Arts. Transitional times are characterized by instabilities and disruptions: a shift away from a dynamic balance through a period of unbalance towards a new equilibrium. We are in the midst of moving away from modern, fossil based and institutionalized society as we know it, but have not found a clear collective direction and pathway to get there. Economic and ecological crises are not only an indicator for this instability, but can also act as tipping points. Professor Loorbach will explain in his keynote where these emerging transitions come from and how to understand and influence them. He will especially focus on the need to find new ways to work towards sustainable futures: this requires process of experimentation, envisioning, creation and, perhaps most importantly, destruction. 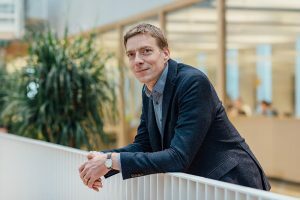 His keynote will use examples from his projects in the domains of energy, mobility, local economy and circularity in the city of Rotterdam to call for more activist, pragmatic and entrepreneurial engagement with emerging sustainability transitions. Derk Loorbach is director of DRIFT (Dutch Research Institute For Transitions) and Professor of Socio-economic Transitions at the Faculty of Social Science, both at Erasmus University Rotterdam. Derk is one of the founders of the transition management approach as new form of governance for sustainable development. He has over one hundred publications in this area and has been involved as an action researcher in numerous transition processes with government, business, civil society and science. He is a frequently invited keynote speaker in and outside Europe. In a changing climate, it is crucial to reimagine how we can continue to be who we are, and becoming who we want to become, despite shocks and trends. The Red Cross Red Crescent has been working with partners to harness the power of art and creativity and support climate resilience endeavors worldwide, creating value through social impact. This keynote will share examples of unusual collaborations between humanitarians and artists on endeavors including music, DataSculptures, cuisine, fashion, games, participatory video, animation, poetry, virtual reality, humor, and other innovative approaches that have helped enhance learning and dialogue. Particular attention will be given to the “Partners for Resilience” (PfR) global program, and how we can work together with the Balance-UnBalance to design new ways of integrating climate, disasters, environment, and social impact. 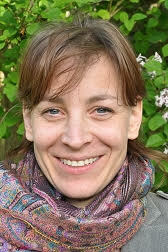 Fleur Monasso (NL) officially joined the Red Cross Red Crescent Climate Center in 2005 and is responsible for Management of Climate Centre Programmes and involved in Partners for Resilience and capacity building initiatives (amongst others the Climate Training Kit). Fleur began to specialize in the international public sector while studying international relations at the University of Amsterdam. She first became involved with the Climate Centre as a volunteer, giving presentations on climate change and its consequences to branches of the Netherlands Red Cross. In this keynote, Babette discusses the impact of consumerism on the planet, including production of the things we buy and use in our daily lives. We as consumers pay for those products and we unknowingly support industries to cause devastating effects on earth’s ecosystems. Babette shows how to turn our hidden impact into an eco-positive one. 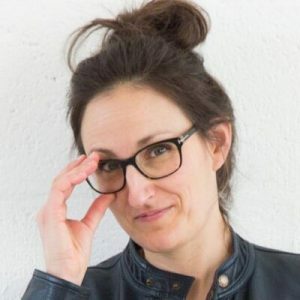 Babette Porcelijn (NL) studied Industrial Design Engineering at Delft Technical University (2001), where she gained knowledge of production processes and life cycle analysis. Babette’s design studio is fully devoted to the environment. Babette is the author of the critically acclaimed book ‘The Hidden Impact, everything for an eco-positive life’.